The Systemic Enzyme Supplements Formula for Dogs is formulated to help your dog through a variety of life’s stages and situations. 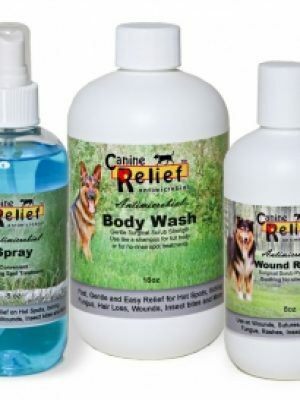 From autoimmune conditions to allergies and periodontal disease, this special blend of enzymes helps support the immune system so that your dog’s body can rid itself of toxins and other waste products that can build up and cause systemic problems. What is the best digestive enzyme for dogs? This blend helps detoxify, provided support as an anti inflammatory and helps boost cardiovascular, joint and immune system health, both during times of wellness and times of health concern. The blend is one of a kind, created after much research into dog health and wellbeing. It aids in recovery after surgery (see precaution below) and can help boost cancer treatments. It is made with only the finest in human ingredients with zero non beneficial fillers or additives. General wellness usage – Your dog should take one capsule in the morning and one in the evening for every 25 pounds of body weight (example – if your dog weighs 75# he or she would need three capsules in the morning and three capsules in the evening. If your dog is somewhere in the middle, it is ok to round up). These capsules should be taken on an empty stomach, either half an hour or more before eating or more than two hours after eating. If your dog is one that won’t take pills without a treat, stay away from meat based treats and instead feed your Systemic Enzyme Formula with a small amount of either peanut butter or pumpkin puree. You’ll want your dog to swallow the pill whole and not chew it for best results, plus it will taste bad if chewed up and discourage your dog from taking it in the future. 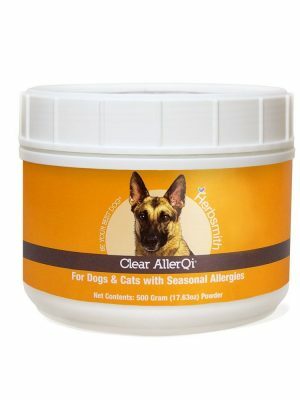 For use in dogs with health challenges – In addition to the general wellness dosage, add an additional afternoon capsule (at the same weight related dosage). For acute injury treatment, you may double the dose temporarily (not more than a few days at a time). In some cases, the Systemic Enzyme Supplements Formula may thin the blood so discontinue use and contact your veterinarian prior to surgery. Do not use in dogs with previous blood and blood clotting related disorders. Store at room temperature away from extreme heat or cold and moisture.